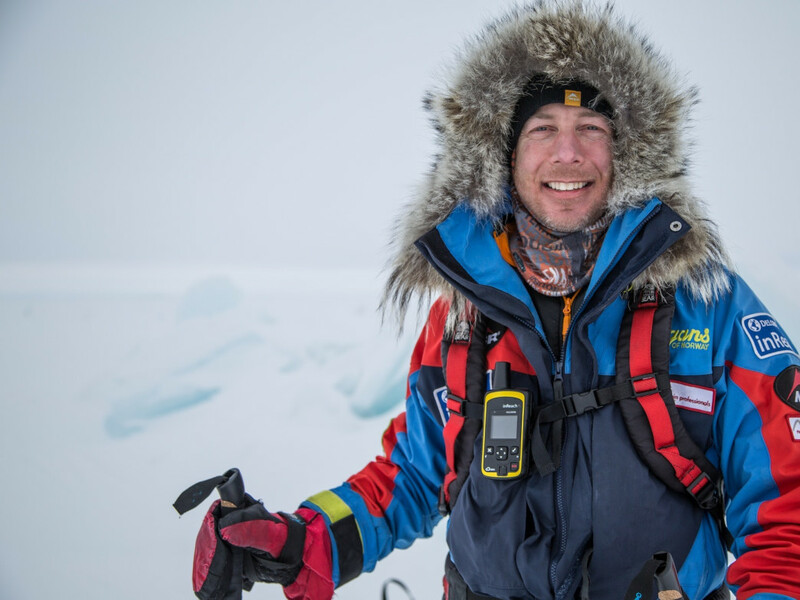 When Eric Larsen decided to become a polar explorer, he was down on his luck making $8 an hour in a Minnesota bike shop, having dropped out of grad school for an opportunity that didn’t pan out. It might seem like an unlikely career turn, yet it makes sense when you examine the somewhat bizarre resume the Boulderite amassed in 10 years since graduating college. At one point, Larsen was content to be a dog musher for the rest of his life. This was after he’d been a whitewater canoe guide, logger, maple-syrup maker, log-cabin builder, housekeeper, backcountry ranger, bike mechanic, environmental educator, and base camp manager. In retrospect, it’s obvious he was building skills that would be handy in the most desolate reaches of the world. But surely his mother didn’t approve. Fast forward 13 years, and Larsen is now one of the world’s preeminent polar explorers. He has skied to the South Pole twice (or thrice, depending on how you count) and the North Pole three times. 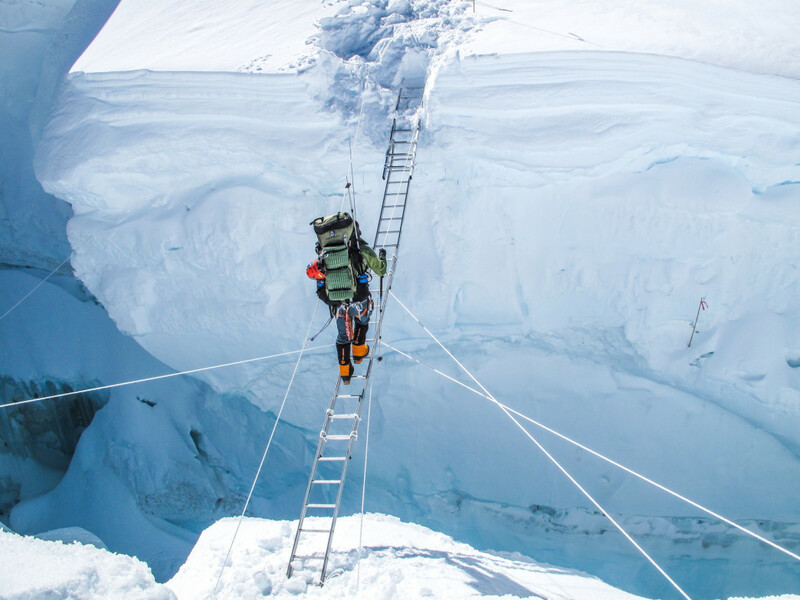 He is the only person to ever reach the three poles—North, South, and Everest—in a one-year period. 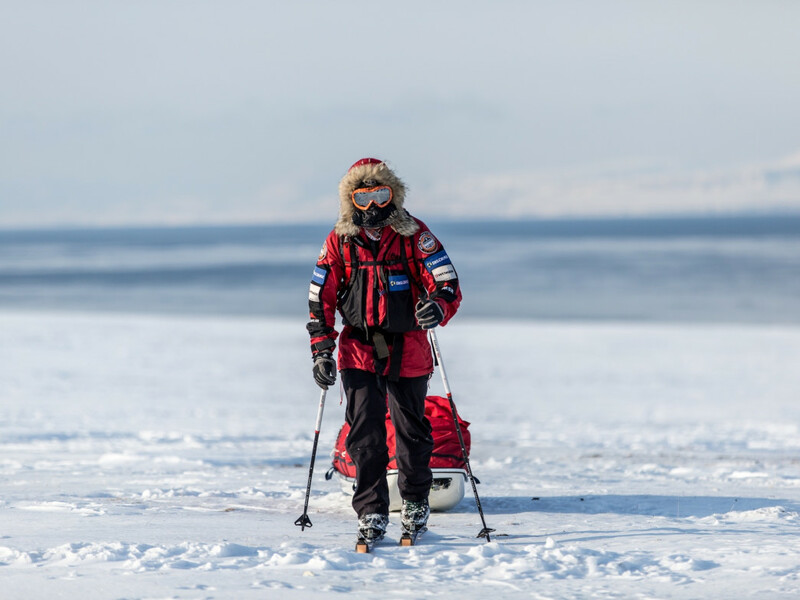 In 2014, he and his partner, Ryan Waters, skied unsupported 53 days and 480 nautical miles to the North Pole in what might be the last expedition of its kind because the sea ice is melting. Rising temperatures are causing Arctic ice to melt at an alarming rate, making polar travel more difficult and potentially impossible. Scientists predict that the Arctic may be ice-free by 2030, with huge ramifications for the global climate. 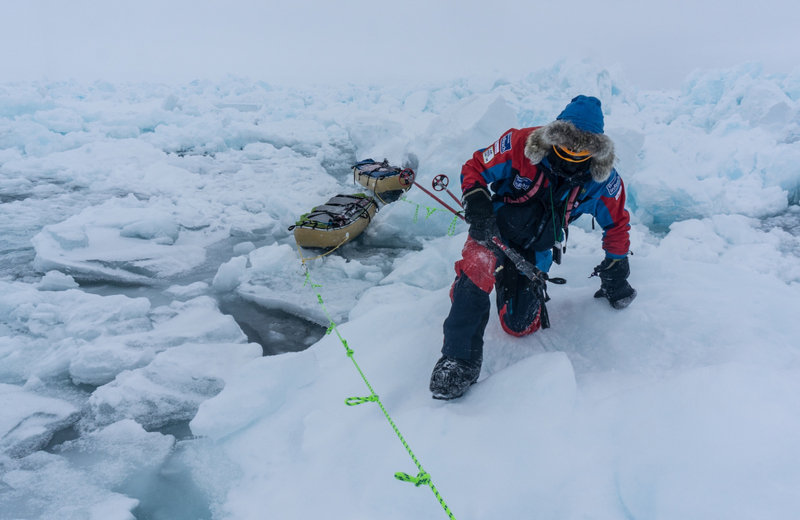 In his three North Pole expeditions, Larsen has seen dramatic changes in the landscape. 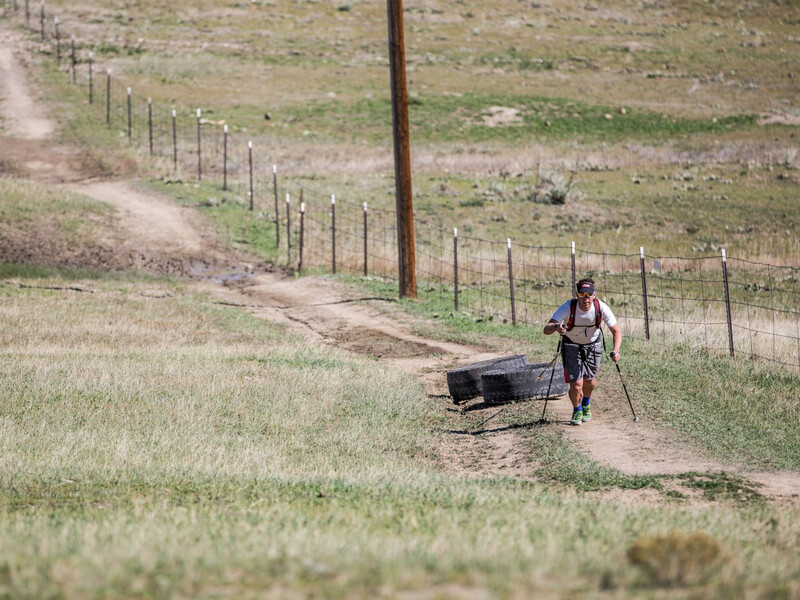 The 2014 journey was his hardest by far—one that will go down in the history books. 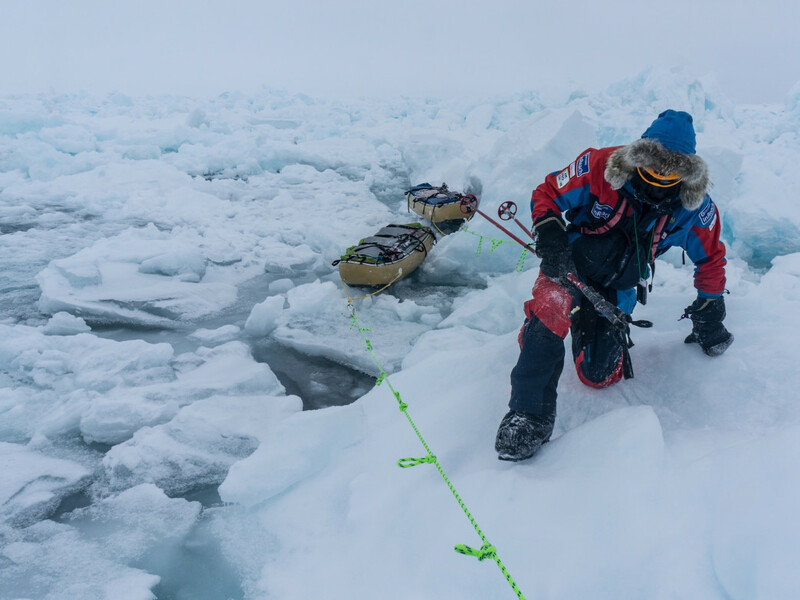 Larsen and Waters filmed the harrowing expedition for Animal Planet, which is airing Melting: The Last Race to the Pole on December 9. For Larsen, this represents a lifelong goal: to use an expedition as a platform for a larger conversation about climate change. RootsRated sat down with him in Boulder to hear how an unassuming guy from Wisconsin ended up exploring the far ends of the earth, what drives him, how he trains, and what he loves about his hometown. How did you fall in love with the outdoors? My dad was the director of a nature center in Wisconsin, so I was always outside. I had a lot of positive interactions in outdoor settings. That’s where I felt the best. And so I just wanted to keep doing those. I always said I wanted to be a professional camper. When I was 16 I went on this two-week-long canoe trip, and I loved everything about it. We had tents blow away because of winds. We got lost. We just loved it even more. I love being outside. I’m from Wisconsin. We didn’t have mountains. We didn’t have incredible whitewater. There wasn’t the adventure sports scene. So cold is what I knew. It was a way to challenge myself in outdoor space that was different from summertime things. It added a thoughtfulness to everything. And I like the physical and mental challenges associated with big expedition travel. I like the process of solving big difficult problems and trying to do things in unique places. And it’s a platform to talk about environmental issues, specifically climate. How did you develop your concern for the environment? I was a biology and environmental studies major. I took a class in 1992 that focused on climate change. I realize that in 20 years, nothing has changed in our understanding of what’s going on. The computer models are just more accurate now. That educational aspect and trying to reach the most people was always my primary objective. I just didn’t know how to do it. At first I thought it could be guiding. Then I thought environmental education. But that was very insular. And then I did a dogsledding expedition, and I realized that an expedition was a really powerful tool. I realized that there was an opportunity to reach a much broader audience. When did you move to Boulder? It was 2009 when I was getting ready to climb Everest. I moved here mostly to train. I wanted to be out in the mountains at altitude regularly. There’s a lot of good elevation, easy approaches, and I can still do all the managing, marketing, and all the stuff I have to do. It couldn’t happen in Minnesota. In the type of travel I do, it’s not about being the strongest person in that moment. It’s about having that overall endurance and being able to manage your body and your systems for not just a day or a week, but several months. That’s a unique skill set. I call it strength endurance—a heavy pack, a 13er or 14er, all day long. I drive over to James Peak and do that big long hike up Saint Mary’s Glacier. Or in Indian Peaks Wilderness: South Arapahoe Peak. Grays and Torreys are two other nice ones—you can just whip up there. One of my favorite hikes is up Sanitas. Putting 50 pounds of rocks in a pack and hiking up Sanitas is great training. I do a little bit of running for cardiovascular. Pulling tires. A lot of biking. I like road biking because it’s this constant grind, which is a lot like polar travel. I ride a lot to Lefthand Canyon, Jamestown, Ward, Peak to Peak. I ride out to Lyons and do the Fruit Loops. And I ride the mountain bike, too—Hall, Heil, Betasso. DeLorme inReach [a powerful, two-way satellite communicator], that’s a no-brainer. Communication is such an important part of what I do. And sharing my adventures in real time, and in those environments. Not all satcomms are created equal. That thing is easy to use and I can text home and just check up on the family, which is huge because I’m gone a lot and that’s not easy. What can people expect from your show on Animal Planet? It’s a real adventure. We’re not faking anything. We didn’t have a camera crew. We’re not setting up this arbitrary thing. We’re in it. It is unlike any other adventure on the face of the planet. And in an environment that’s more harsh than any other environment on the planet. What do you want people to take from it? We need as individuals to realize that our impacts make a difference. And one of the things about expeditions they really teach you is that there’s a huge difference between need and want. We don’t need a lot of stuff. And then hopefully we can influence this top-down conversation—change the political climate so that it’s not a question of if it costs too much, but that we need to make these initiatives. It’s perfect timing right now with the climate change talks going on. Tune into Melting: Last Race to the Pole on December 9 at 9/8C on Animal Planet (check cable listings for mountain time). Want to watch with Larsen and Waters? Join them for the premiere at West End Tavern (upstairs).